File photo of a senior police officer examining a vehicle at the Ferry Police Station after the unit was involved in a fatal crash along Mandela Highway, which extends from St Catherine to St Andrew. 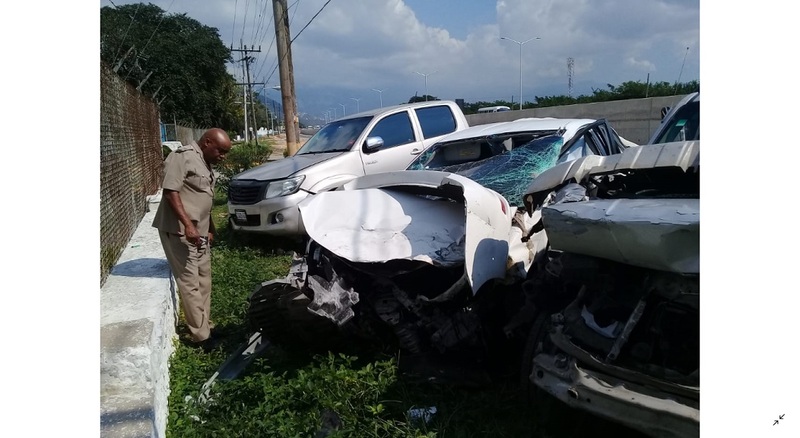 Although the numbers are down when compared to the same period in 2018, road fatalities in 2019 are running at nearly one per day, according to statistics provided by the Road Safety Unit (RSU) in the Ministry of Transport. 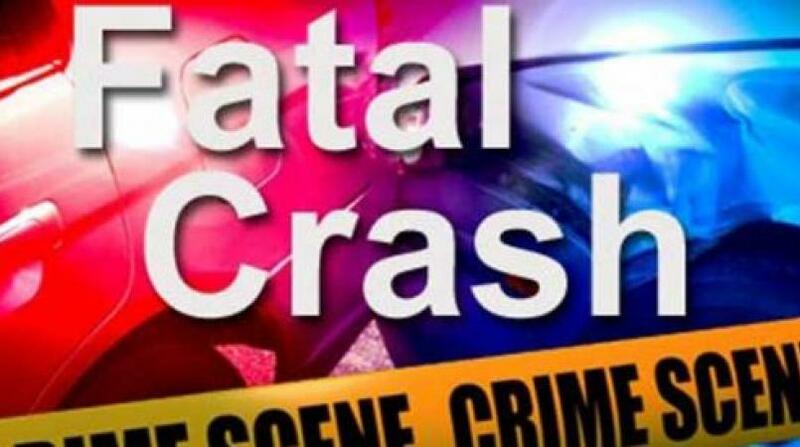 According to the RSU, 37 people were killed in 33 fatal motor vehicle crashes up to February 7. Some 95 per cent of those killed in road crashes since January were males. Pedestrians, motorcyclists, passengers and drivers of private motor vehicles have figured most prominently among this year’s road fatalities. A breakdown of the figures shows that eight of those killed were pedestrians, two were pedal cyclists, 13 were motorcyclists, two pillion riders, six were private motor vehicle passengers, and six were drivers of private motor vehicles. It is against this background that the RSU is pleading with motorists to keep left while driving; not to overtake around corners; and to drive within the posted speed limits. Additionally, the unit is reiterating its call for motorists to wear their seat belts (both drivers and passengers); helmets for motorcyclists and pillion passengers; and for pedestrians to use the road with caution. Pedestrians are encouraged to use pedestrian crossings or other safe places; walk facing the oncoming traffic; and to always wear bright and light-coloured clothing when it is dark. 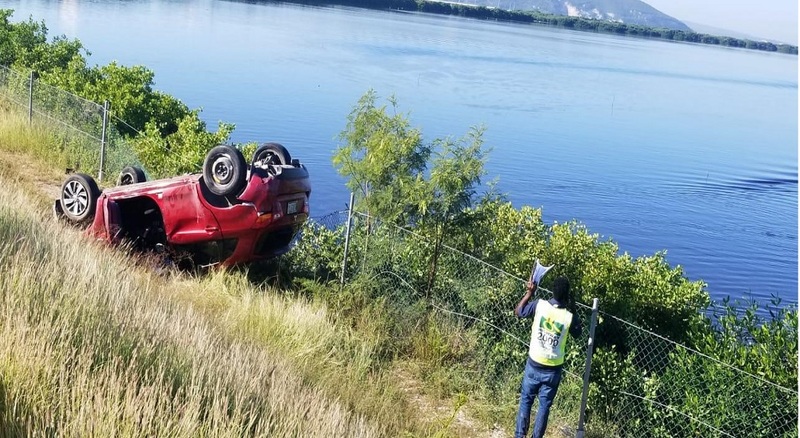 But despite the 37 fatalities in 38 days, the RSU noted that fatal crashes and fatalities have decreased by 18 per cent and nine per cent respectively when compared with the similar period in 2018. Additionally, the RSU is projecting a 14 per cent decrease in fatalities in 2019 when compared to 2018. The unit also anticipates a big 43 per cent decline in child fatalities. Meanwhile, motorcyclists notably account for 35 per cent of the road users to have been killed since the start of the year. Also, the more vulnerable road users (pedestrians, pedal cyclists, motorcyclists and pillion riders) collectively accounted for 68 per cent of road users killed since the start of the year.